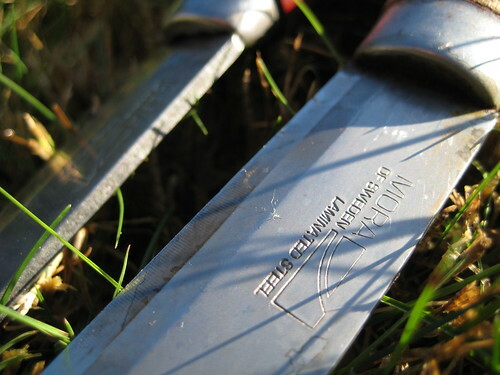 You are currently viewing all posts tagged with knife. 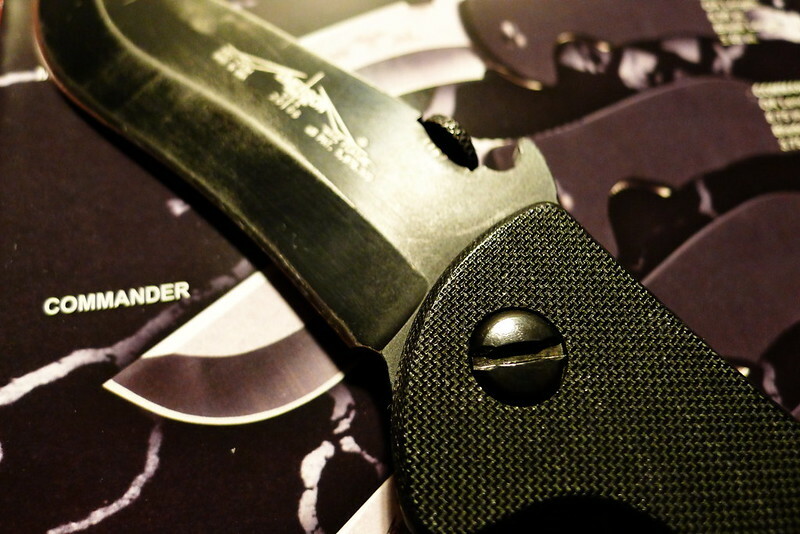 The ESEE Candiru is another nice knife that suffers from a terrible sheath. 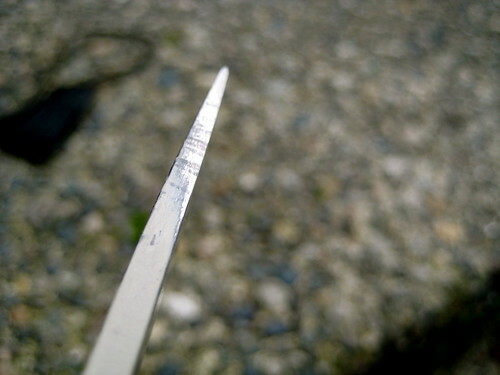 In fact, it is a great little knife. 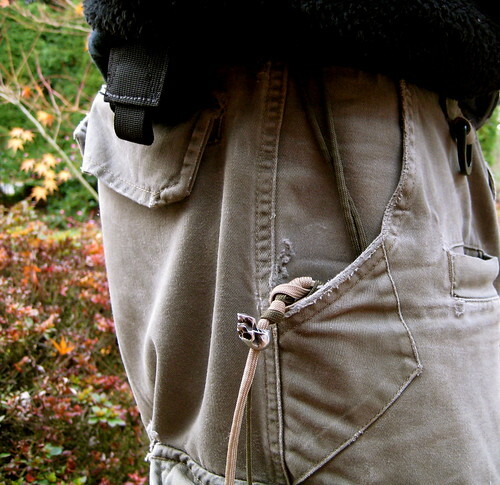 Unfortunately the only sheath that the Candiru comes with is a simple Cordura pouch. 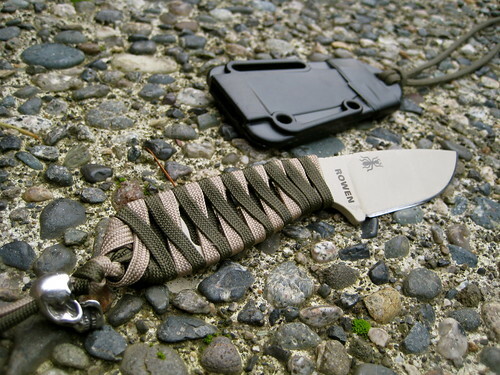 I threw this away immediately upon receiving the knife and replaced it with a horizontal belt sheath from Dark Star Gear. 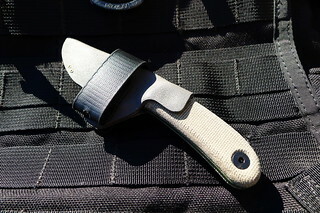 The Dark Star Gear sheath first came to my attention on pistol-forum.com. 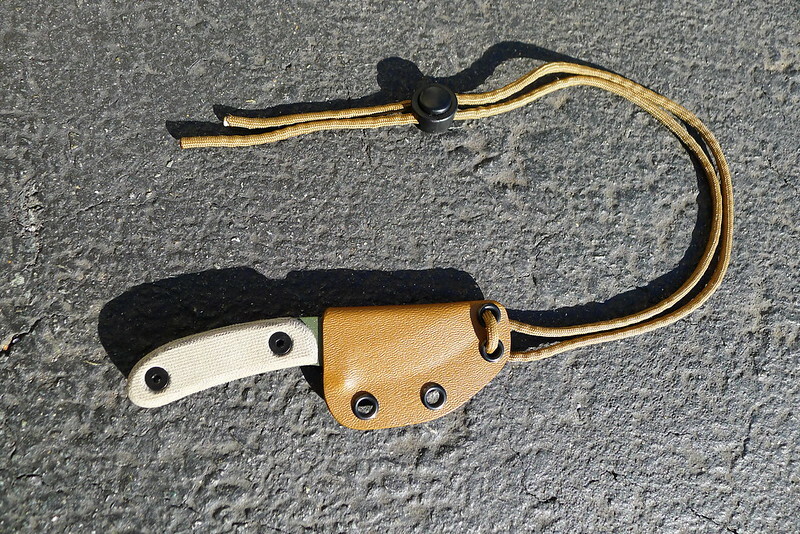 At the time I hadn’t purchased the Candriu, but horizontal carry of a small fixed blade at about 11:00 on the belt impressed me as a great idea. I knew I wanted to give it a shot. I’m extremely pleased with both purchases. 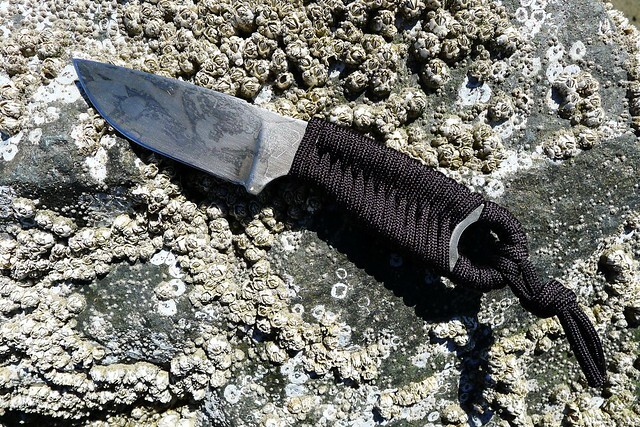 The Candiru is not quite as general-purpose as the larger Izula, but it performs all the functions that I require of an urban EDC blade, and provides yet another option for an EDC fixed blade. This is something that I have come to prefer over a folder since I purchased the Izula about 4 years ago. 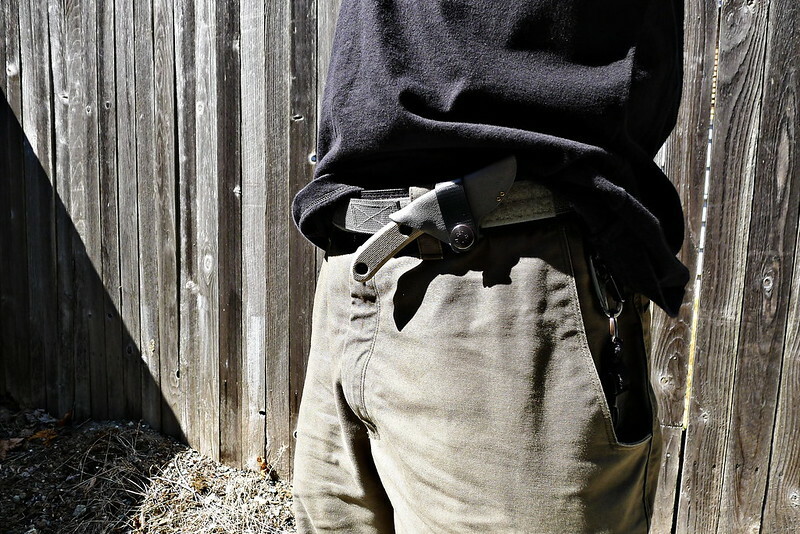 The Dark Star Gear sheath allows me to carry it comfortable and conceal it with nothing more than a t-shirt, while still providing for a quick draw. 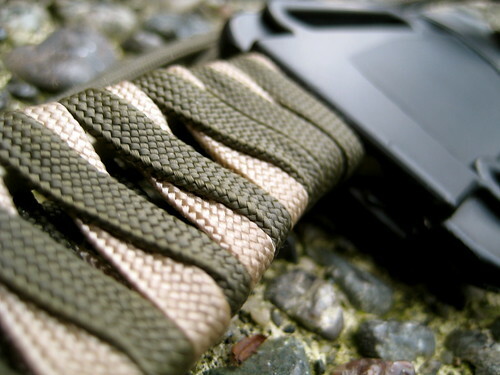 The sheath has also exposed me to the idea of carrying at 11:00, which is a very nice piece of real-estate on the belt that I have previously overlooked. 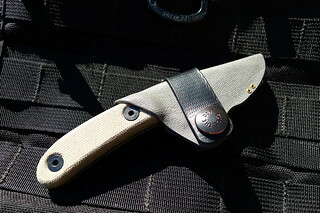 I have carried the Candiru in the Dark Star Gear sheath as my primary knife for about 2 months now. 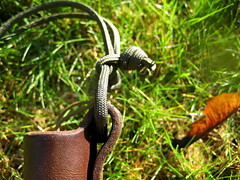 Up until a few days ago the Candiru’s handle had been cord wrapped2. I just recently purchased and installed the optional Micarta slabs. 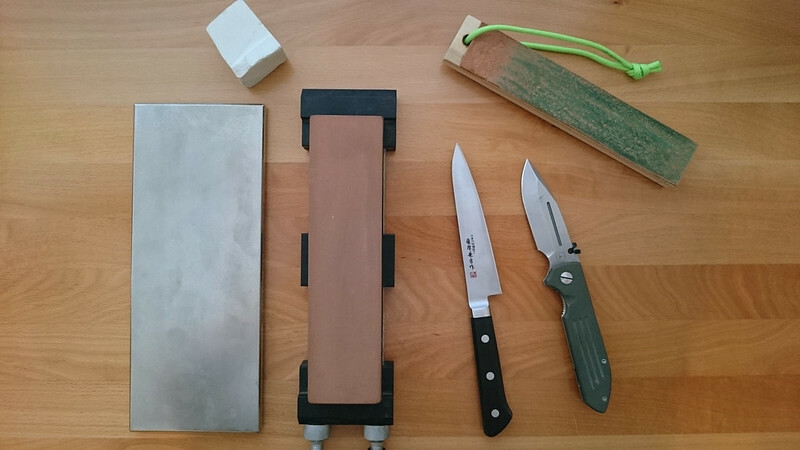 The Candiru does suffer from a small handle – a necessary evil for a knife this size. It can use all the extra bulk it can get. 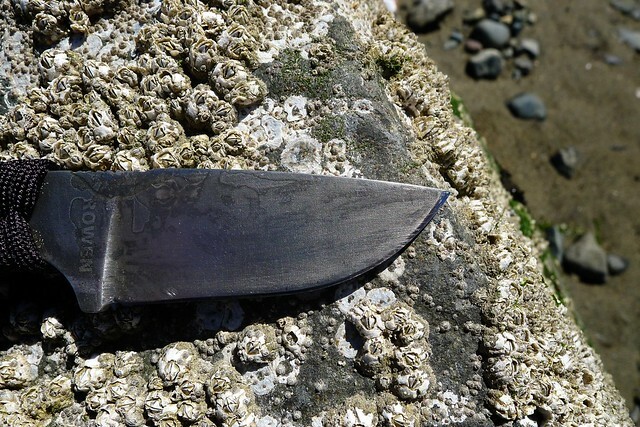 My initial impressions of the Micarta slabs are that they greatly improve the feel of the knife in the hand without any negative impact on the ability to easily conceal the knife in the Dark Star Gear sheath. 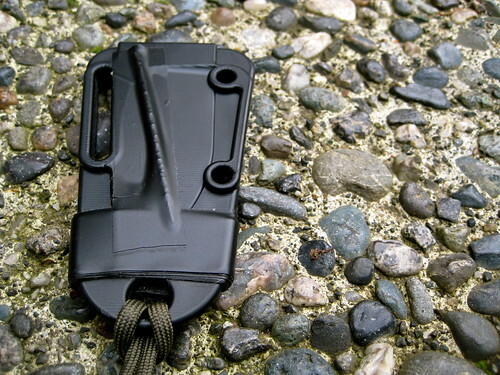 For a second carry option I also purchased a Kydex neck sheath for the Candiru. 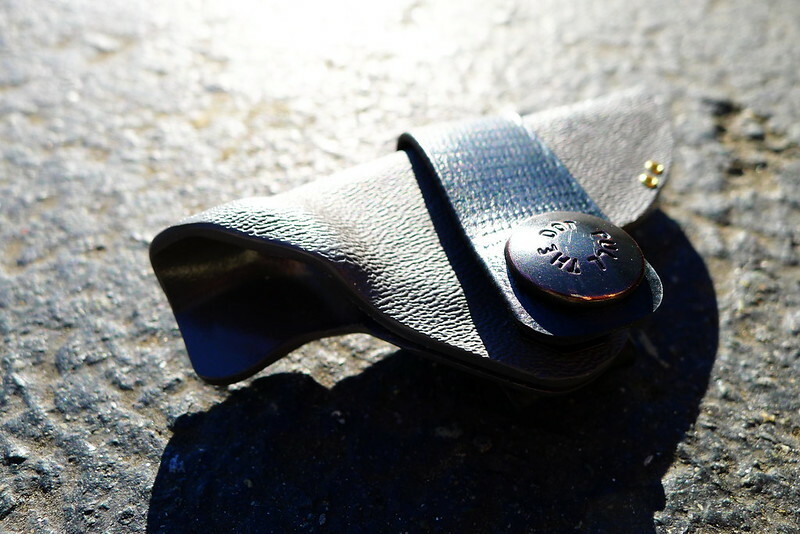 This is the sheath that the Candiru should ship with. 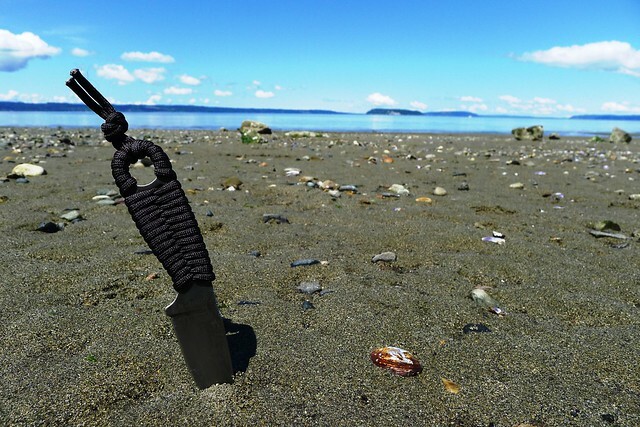 The size of the knife makes it a great option for those who find the Izula a bit too large for comfortable carry around the neck3, but still want something a bit more functional than a tiny CRKT RSK Mk5 or Nemesis Hellion. 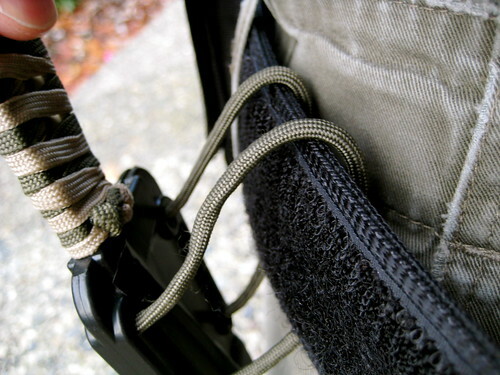 I carry the knife around my neck when I run, since for that activity I’m not usually wearing a belt appropriate for the Dark Star Gear sheath. 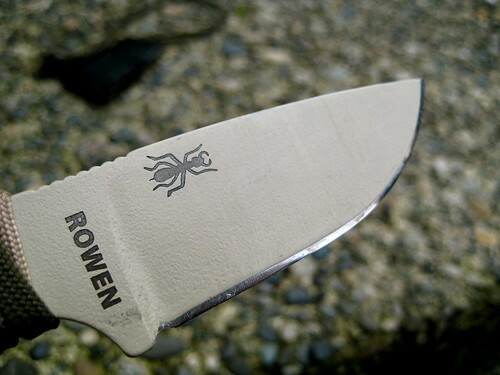 Adding the Micarta slabs does make the Candiru a bit heavier and bulkier around the neck. 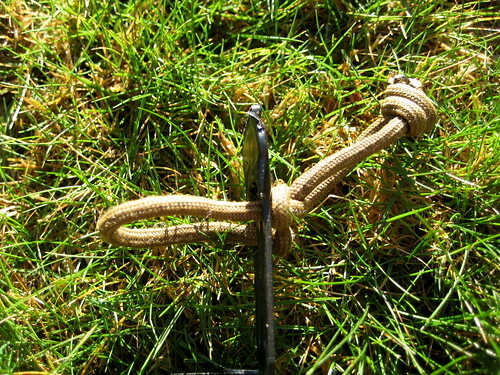 If you intend to use the Candiru primarily as a neck knife, I would stick with a cord wrap on the handles. 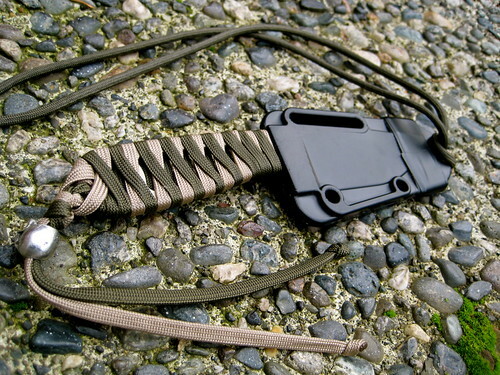 ↵ While bigger folk could probably conceal an Izula in the Dark Star Gear sheath, I'm confident that this was the right choice for me. 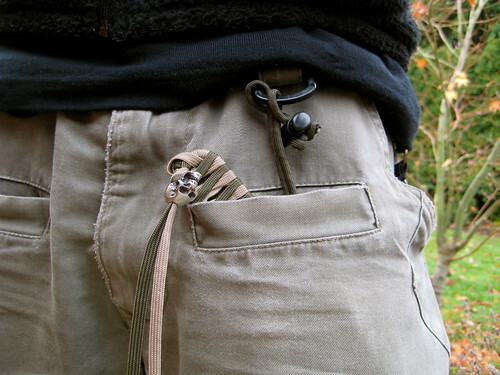 I feel pretty sure that the Izula handle would stick out too far on my small waist. 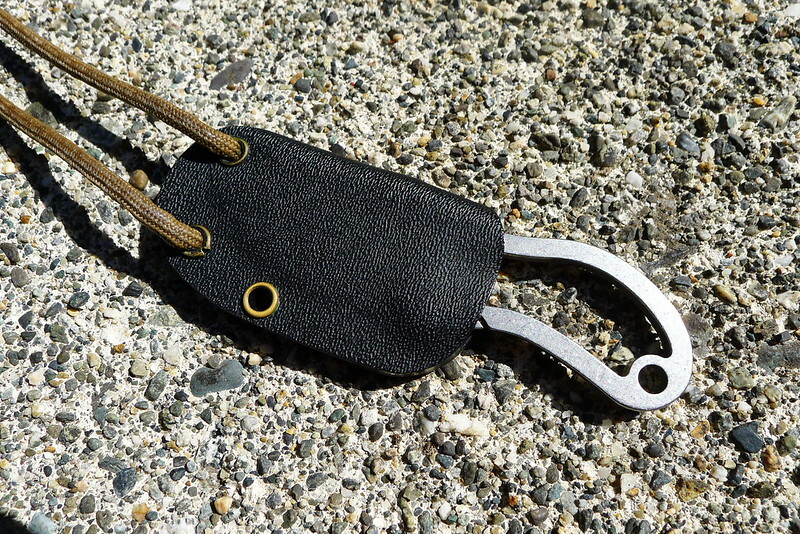 ↵ The handle was wrapped with Technora Four Hundred Cord. 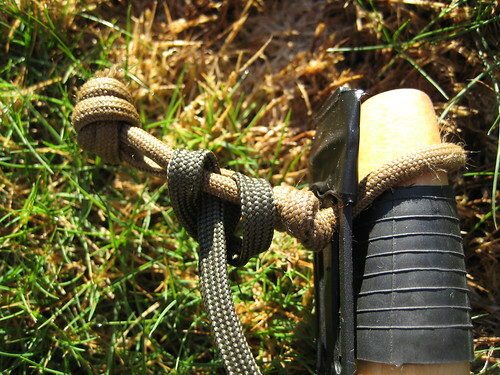 I had bought a hank of this cordage a while ago to play around with and found that the smaller diameter worked better than paracord (gutted or non) on the Candiru's small handle. 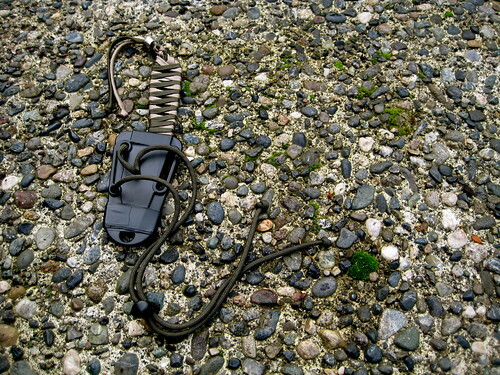 ↵ The Izula is at the upper-end of my size range for comfortable neck carry. 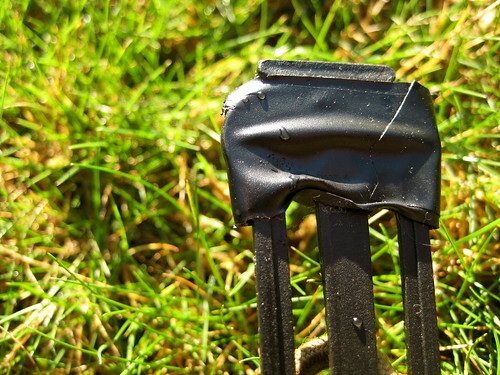 This post was published on 2013-07-22 . It was modified on 2013-07-22 . 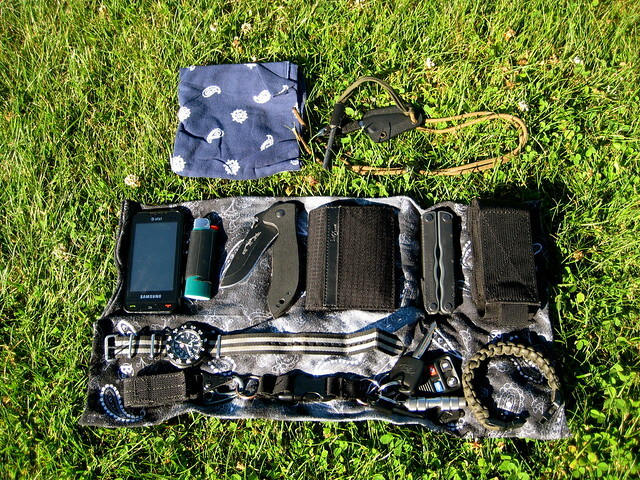 It was tagged with edc, review, gear, knife. 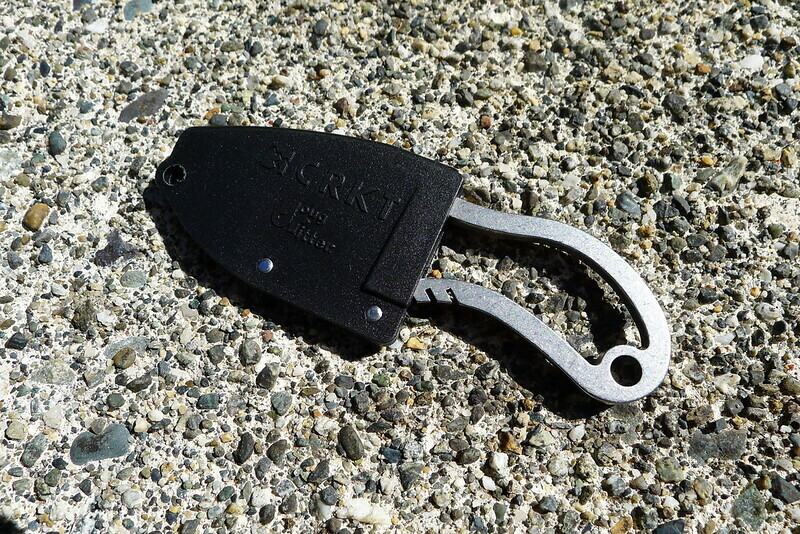 The CRKT RSK Mk5 is a nice knife cursed by a terrible sheath. 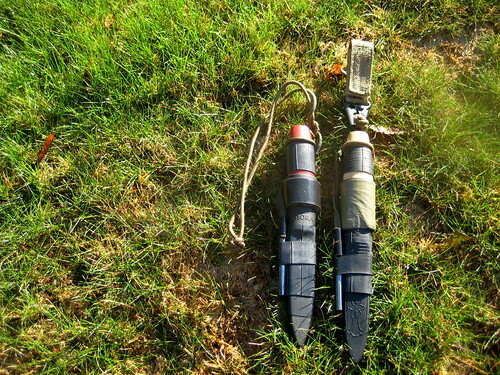 I’ve been EDCing the knife since my Nemesis Hellion was lost last November. 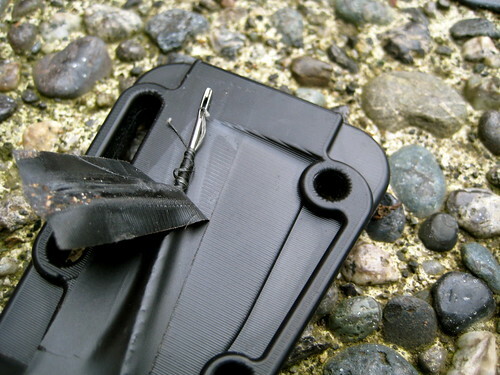 Unfortunately, the “glass filled nylon” sheath that the RSK Mk5 ships with is a poor design. 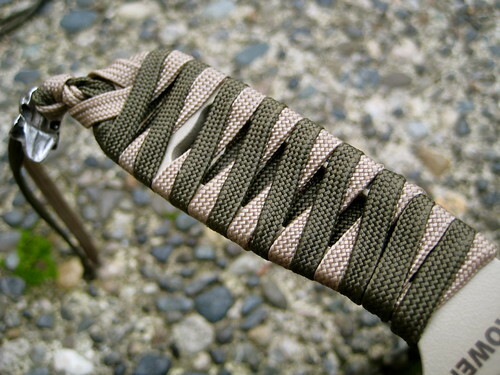 The grommet in the tip is too small to accept a piece of paracord. 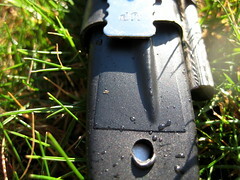 This was done to keep the overall size of the sheathed knife small enough to fit inside an Altoids tin. 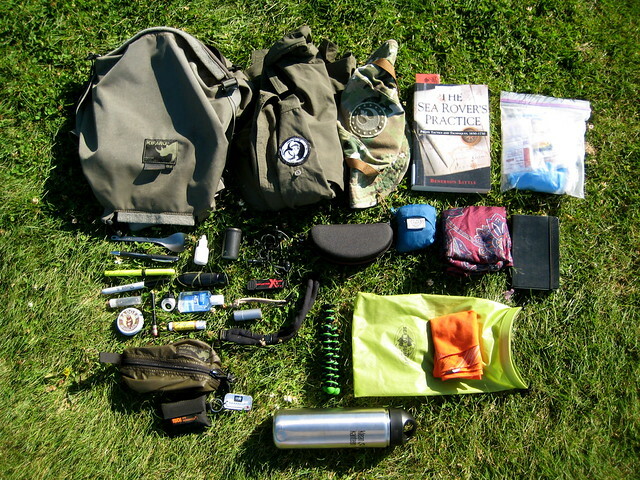 I have never understood the obsession with the Altoids tin survival kit. I prefer to carry a knife about this size around my neck. 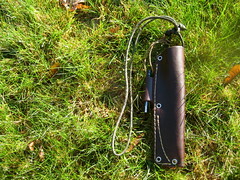 Some time ago I purchased a new sheath for my RAT Izula from a fellow on eBay who goes by lemonwoodgallery. I was pleased with that purchase, so as soon as I bought the RSK Mk5 I shipped it to him to make me a custom kydex sheath. 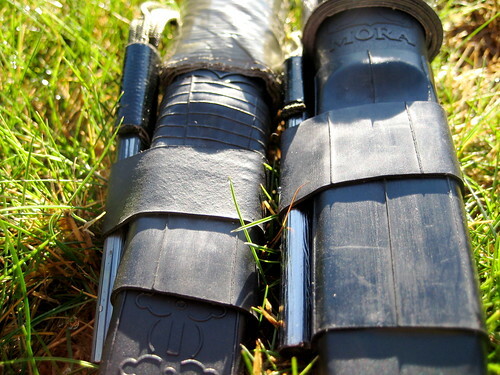 It’s nothing fancy – just your standard taco style sheath with two grommets at the top for a piece of paracord and one on the side for retention. 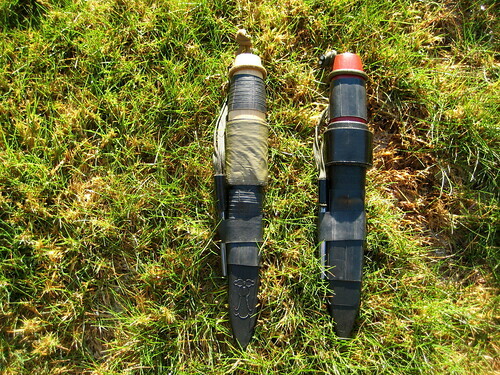 This is the same design as the sheath for the Nemesis Hellion, which served me well for 6 years. 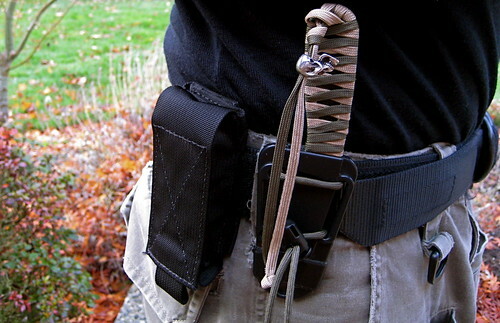 The new sheath has held the RSK Mk5 around my neck for about 8 months now. It’s a much appreciated upgrade. 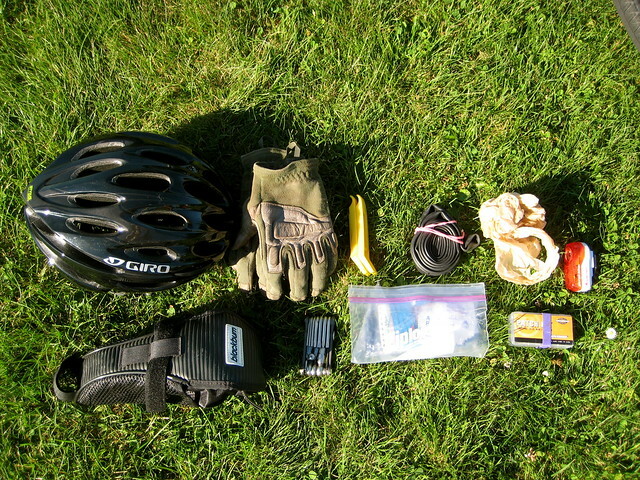 This post was published on 2013-07-21 . It was modified on 2013-07-22 . 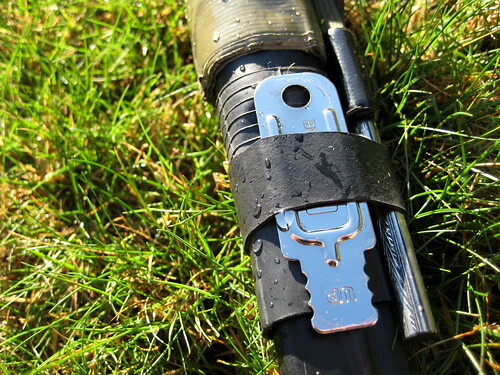 It was tagged with edc, review, gear, knife.